I have met a lot of people from China, Japan, and Korea and they all do the peace sign for photos. It id difficult to get a shot without. It seems like an Asian thing. they may not know that it stands for peace, i think its what they have seen others do. 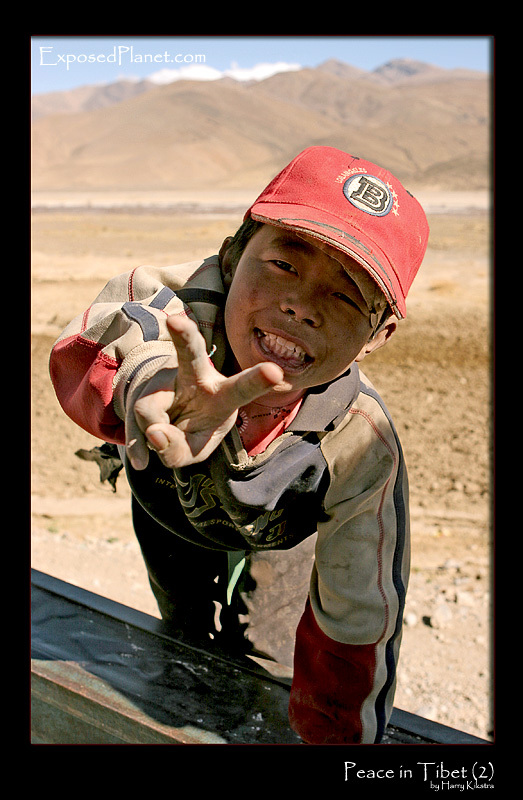 The story behind "Peace in Tibet (2)"